​​​​​​​The day concludes with the burning of a large model snowman on a magnificent bonfire. Fireworks then go off which signal the end of winter. It is said that the quicker the snowman burns the better the summer weather will be. In the grand procession beforehand, over 3000 guild members march through Zurich in their traditional attire, many with marching bands and some on horseback, often accompanied by members of the Swiss government as guests of honour. ​​​​​​​The day concludes with the burning of a large model snowman on a magnificent bonfire. Fireworks then go off which signal the end of winter. It is said that the quicker the snowman burns the better the summer weather will be. 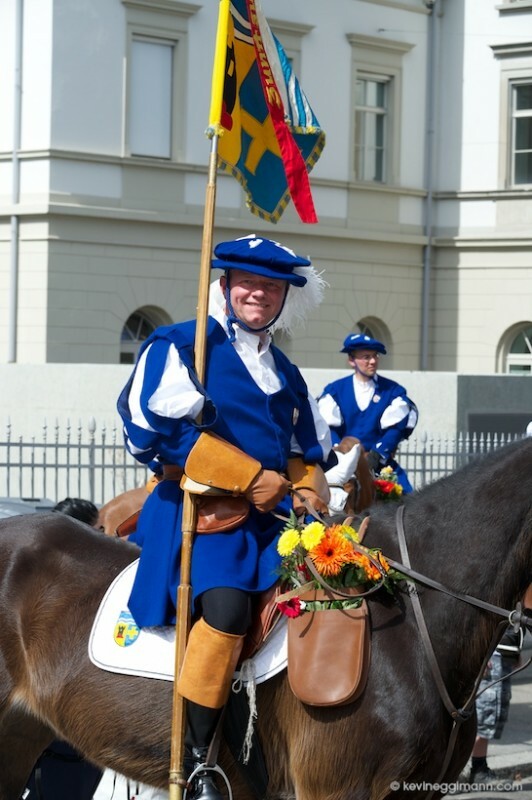 In the grand procession beforehand, over 3000 guild members march through Zurich in their traditional attire, many with marching bands and some on horseback, often accompanied by members of the Swiss government as guests of honour. ​​​​​​​In the guildhouse of the Zunft zur Letzi, a museum gives you much more background on the history of the guilds.